Since being in Sydney, I’ve been making a conscious effort to bring my wardrobe back to basics. I’ve more or less eliminated all colours if it doesn’t tick my minimal box! It’s actually quite refreshing seeing my clothing hang alongside each other and flow for a change. Mixing and matching has become a lot more fluid and I’m enjoying styling looks with a solid simple colour palette. This week I splurged on my first pair of Australian designer boots that are so versatile. I was drawn the the Alexander Wang-esque style block heel. 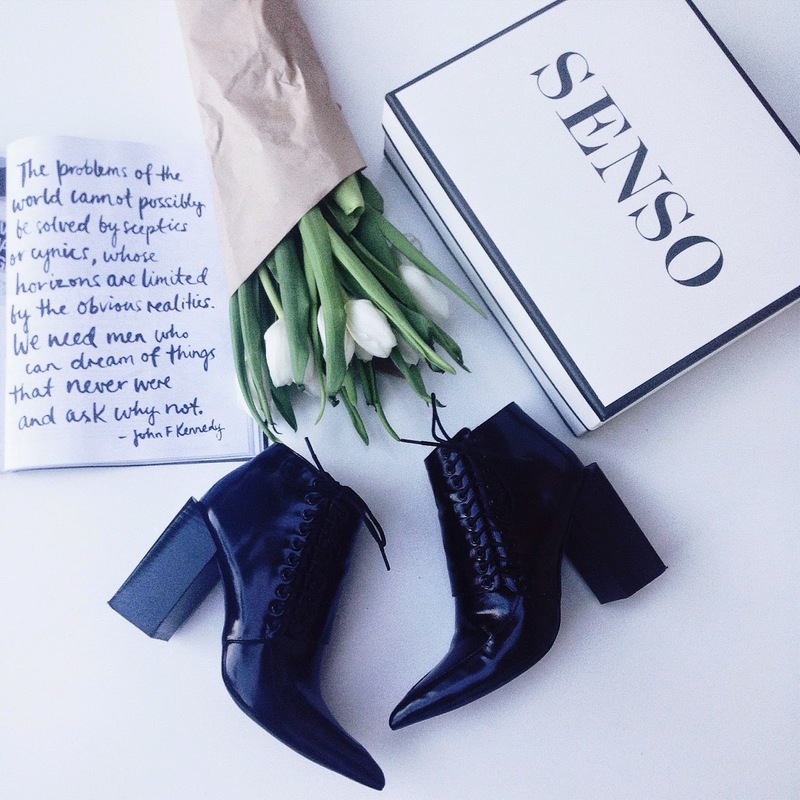 I have been dying for a pair of Senso’s for months, so thought what the heck! It’s the perfect time of year to follow the European trends from Australia as the weather is still pretty warm, which is working well with their spring/summer styles. This weekend was glorious, and I am still captivated with the all white trend. Is anyone else compiling a wish list for the Zara May lookbook? Loose fitting, ethereal drop crotch trousers in crisp white. Easy to style with a linen shirt bralet. I can see me spending my first pay check before It’s even been deposited! I got to meet fellow Sydney blogger, Gabby today for a quick catch up about our week. We met in Paddington and took some quick style posts before heading to Amperstand which is the cutest coffee shop/book shop on Oxford Street. It seems to be our little place and we were lucky enough to get a table outside. 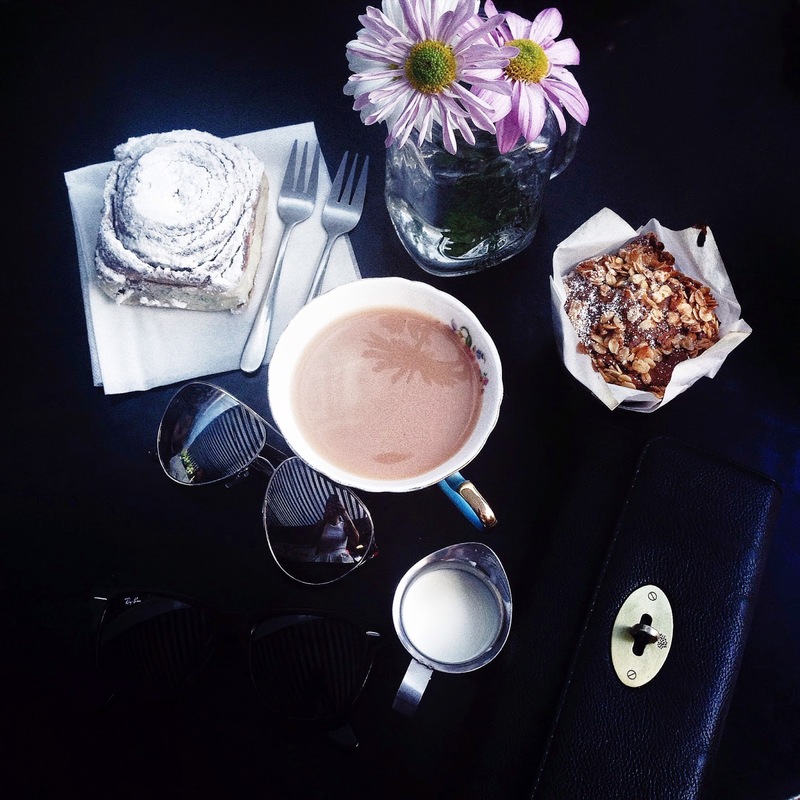 We’ve both made the move to Sydney to pursue our fashion dream, so it’s nice to discuss our career developments over a nice cup of tea! I’m excited to work with her more in the coming months.